What follows are highlights from some of the more popular articles related to RBI that have been published in Inspectioneering Journal. Of course, this is only a small sample chosen from a larger population of articles covering risk based inspection methodologies, standards updates, case studies, and primers. Whether the market conditions are favorable or not, equipment reliability is often important for health and safety, environmental and business success. Notice I said “often” and not always. Why? There are many times when reliability at all costs does not make sense; the criteria, whether stated or not, is “fluid”. Hence the need for effective Equipment Life-Cycle Management (LCM) practices, programs and policies. 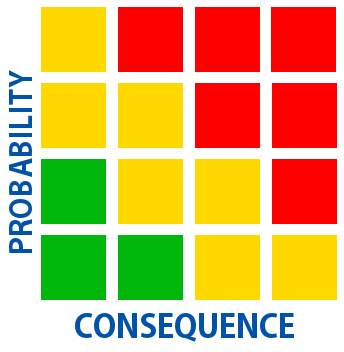 The risk and business worlds are dynamic, not static, as demonstrated by the spinning, not static, swiss cheese model as illustrated in API RP 754. So it is time for a real change and for owner operator management to be committed to effective change. So how do we manage tens of thousands of pieces of equipment, especially complex piping systems, in a dynamically, changing environment, effectively? Prior to starting the RBI program, it is important to clearly state the goals of the assessment. These goals could include reducing pressure boundary leaks, managing the overall risk of the process unit or facility, or keeping risk at an acceptable level. While reducing maintenance or inspection costs may be a side benefit from optimizing inspection activities, this should not be considered the primary goal of an RBI program. In some cases, the inspection and maintenance budgets could be refocused across a unit and may increase as alternative technology inspections or inspections requiring more coverage are performed. At times, cost may be reduced by elimination of time-based inspections on low risk items, performing fewer, yet more effective inspections, or by eliminating inappropriate inspections. Most RBI programs use historical data and “what if” scenarios to assess risk and develop inspection programs. This includes original fabrication documentation and inspections, enhancement and modification records, past use and past inspection results. From this and other assumptions, a risk assessment is developed with an inspection program that is intended to maintain or reduce current risk based on a reduction in the probability of failure. Because the assessments are made utilizing historical and environmental information, they may lack information on the current operating condition of the tank. Recent changes in environment or usage may not be taken into account in the assessment or the inspection program. Most often the inspection recommendations are based on calendar information, and as a result, the intervals may not be optimized. By using inspections that assess the in-service condition of the tank, current degradation conditions can be identified and more effectively addressed in the assessment and the corresponding inspection program. Non-Intrusive inspections have become a priority for many companies. Risk-Based Inspection (RBI) planning is one of those inspection technologies that I'm excited about. Sixteen refining and petrochemical companies have joined together in a joint-sponsored program administered by the API to develop RBI technology for the hydrocarbon process industry. Though Quantified Risk Assessment and RBI are not new, much effort was necessary to develop and adapt the technology for the hydrocarbon process industry. That work is going on now. When completed it will lead to a new RBI Recommended Practice (RP) for the hydrocarbon process industry. Our observations indicate that the demand for RBI knowledge does not seem to be slowing down at all. As a result, we will continue to make RBI a focal point of our editorial direction as long as it remains integral to the industry.